When Old Man Eckert disappears without a trace, he becomes the stuff of legends around the village and his house slowly morphs into a "haunted house." Three members of the village set out to address these rumors. Two of them meet and venture forth to explore the house after the third one doesn't show. They entered the house and started a fire waitign to see if anything happens. They hear the opening of a door in the back and eventually, the door opens to their room and it is the thrid man, though his face is pale. He sees them and then exits the front door. This is strange but then the next morning the two men look at the tracks left in the snow and see that though their footsteps are accounted for in the snow, the third person who left the front door is no and he has since disappeared. Another short and snappy ghost tale that has all the elements of a campfire tale. It's not particularly complex but the elements are memorable enough to retell in some setting to send shivers up people's spine. 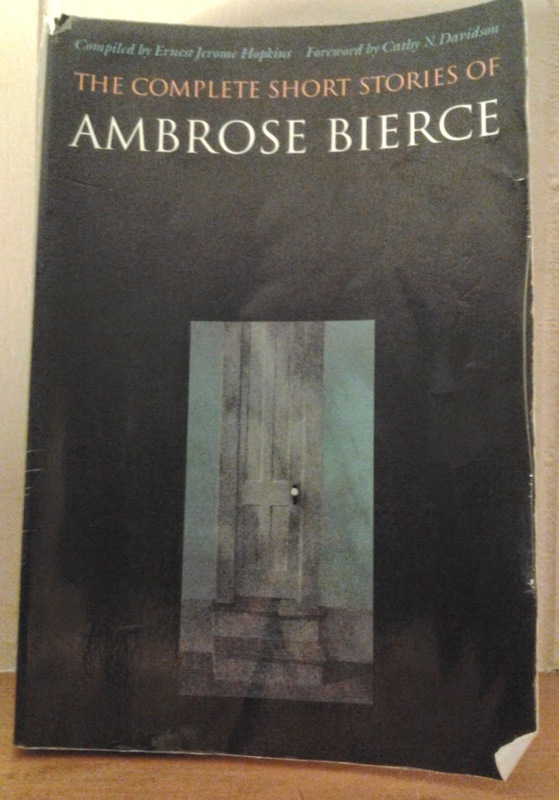 Many of Bierce's stories fit into this and I wonder how many of them are original stories and how many are lifted from campfire tales that he heard over the years.